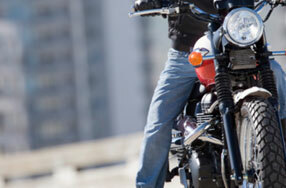 With little physical protection on a motorcycle, bikers are susceptible to serious and potentially deadly injuries. Motorcyclists hurt or killed due to someone else’s negligence are entitled to compensation under Washington law. If a driver failed to see your motorcycle, this is not a valid excuse to avoid liability. Car and truck drivers must pay attention to all motor vehicles. Unfortunately, motorcycle crashes appear to be on the rise. The U.S. Department of Transportation, National Highway Traffic Safety Administration (NHTSA), conducted a study that found a 61 percent increase in motorcycle crashes from 1997 to 2006 (the report can be viewed here). In Washington, unlike car and truck drivers, motorcyclists are not required to have liability insurance coverage. Since many people obtain additional coverage along with liability insurance to protect themselves in the event they are injured in a crash, such as personal injury protection (PIP) and underinsured motorist (UIM) coverage, motorcyclists who do not have insurance are at risk of being undercompensated for their injuries. We recommend that all motorcyclists carry insurance to protect against these eventualities. The NHTSA study referenced above also included an analysis of the type of injuries suffered in motorcycle crashes. The NHTSA report concludes that leg injuries, specifically bone fractures, are the most common injuries suffered in motorcycle crashes, followed by arm and head injuries. Even though leg injuries tend to be the most common, the report also concluded that the most serious motorcycle injury cases tend to involve injuries to the head, chest, and abdomen. Motorcycle crash injuries differ from car crash injuries because of the frequency with which we see broken bones as opposed to soft tissue injuries. In contrast to motorcycle crashes, soft tissue injuries tend to be the most common type of injury suffered by occupants of cars. Of course, motorcyclists may also suffer soft tissue injuries and occupants of cars may also suffer broken bones. The impact of motorcycle injuries can be physically, mentally, and financially devastating. The NHTSA study (referenced above) also looked at the cost of hospital bills for motorcyclists injured in crashes. The study found that the median hospital charges per patient were $21,000 for motorcyclists who suffered a single acute leg injury. The average went up to $56,000 in hospital charges for motorcyclists who suffered injuries to other parts of the body, in addition to leg injuries. This doesn’t begin to consider other financial consequences to the injured motorcyclist, such as lost income during the time the person is unable to work due to injury. If you or a loved one was involved in a motorcycle accident, you should consult a knowledgeable motorcycle injury lawyer for information on your rights to recovery. The lawyers at Kraft Davies, PLLC, in Seattle are here to help. We offer decades of experience helping motorcycle accident victims fight back against lowball insurance offers. We are prepared to prove the extent of damages you incurred to help you obtain a full financial recovery for your current and long-term medical expenses, lost wages, and pain and suffering. For more information on the types of damages recoverable, click here. Due to the severe nature of motorcycle accidents, it is particularly important in such cases to be sure that you obtain solid legal advice. Our lawyers understand how to effectively handle motorcycle injury cases, and are available to speak with you about your motorcycle injury or death claim.